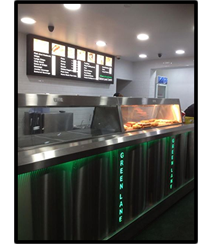 Green Lane Chippy and Fish and Chip restaurant in Holden Rd, Leigh offering the best in Traditional Fish and Chips and English Meals. 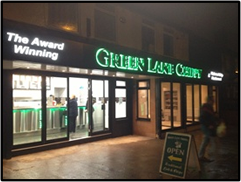 Owners Paul and Andy, born in Yorkshire to Cypriot parents welcome you to the fully licensed, Award Winning Green Lane Chippy where in a relaxed and friendly setting you can enjoy our delicious freshly cooked meals, gluten free options and delicious home made specials made from recipes passed down through the family. We have won the prestigious Chippy of the Year award for two years running and we strive to maintain the high standards that helped us achieve these awards. 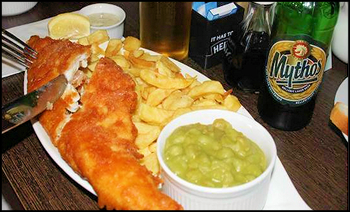 With over 40 years of catering experience in the Fish and Chip and restaurant business, Paul and Andy use only the finest and freshest ingredients in their food and fresh fish from Scotland is delivered daily to Green lane. We use chipping potatoes cooked in 100% vegetable oil. Gluten free options are a speciality here at Green Lane. Green Lane Restaurant is fully licensed and family friendly catering for all ages and all your special occasions. Don't just take our word for it. Check out our customers reviews on Trip Advisor. Our extensive menu is available to view and download. Click here for more details. 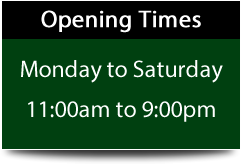 To reserve a table in our restaurant please call us on 01942 260660.